Are your Neighbors Cat Haters? How can you hate a cute little ball of fuzz? Sometimes you have one bad apple in the barrel, and sometimes you have more. I am sure that if you own cats or love cats, you have had experience with this. Also, if you hate cats or just hate your neighbor’s cats, maybe this was you. Either way, you can’t always choose your neighbors, but you can choose your cats. I choose my cats over my neighbors. This is how ridiculous things can get with them. I live in a small community that is very close to each other. We are not as close as apartments or condos, but close enough. You see, I live in a mobile home park here in San Luis Obispo. We don’t have wide luscious yards, and some homes are almost on top of each other. While this isn’t one of the better parks, it is not one of the hole-in-the-wall junk home parks around. We have several new homes that have been put in over the last few years. I generally have a good rapport with the various managers we have had, and can have a peaceful life without hassles. As you read about Bird, he got out a few times and would often push his way out the window. My other cats enjoy being outdoors as well, and keep asking for freedom. 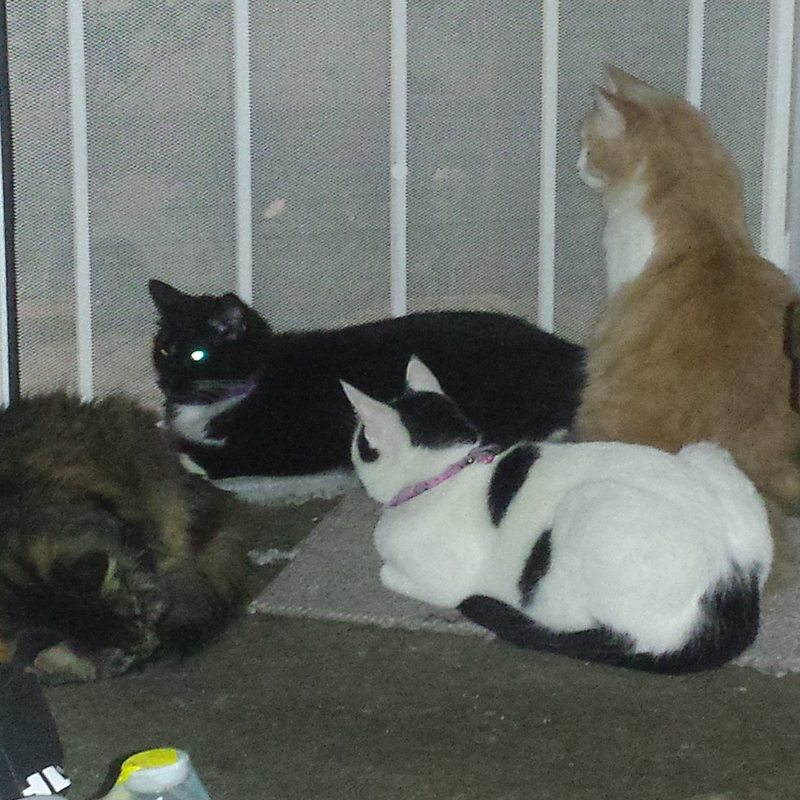 They have been indoor cats with outdoor privileges. One of my neighbors in particular, right next door to me, started complaining about my cats. I suggested that I could put repellent out and keep them out of his yard but he refused that option. 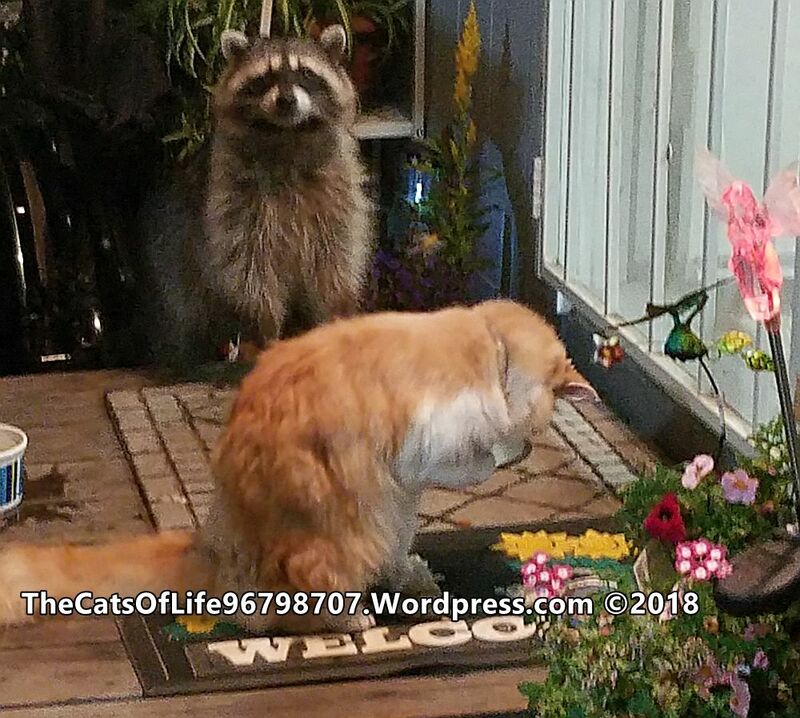 I also offered to come clean my cat’s gifts (if they really were from my cats didn’t matter, even though we have plenty of raccoons around) but he also refused that. He complained that they jump on his truck and I offered to put a tarp on it to keep them off it and he refused that. He refused every option I presented as being a caring, loving, and accommodating cat owner. 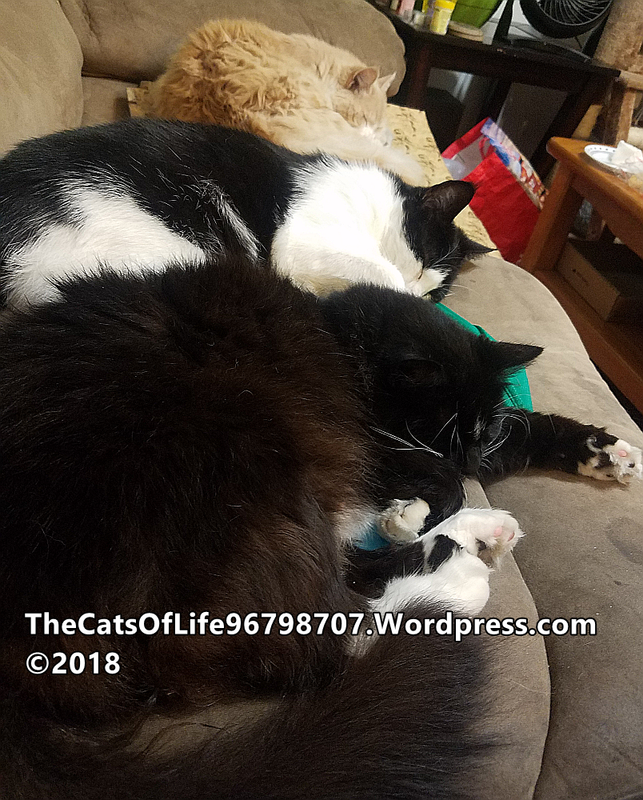 He already knew I would stick up for my cats because he had known about the incidents with the other neighbor that tried to steal one of my cats and how I handled the police situation with that. We also had a bit of an incident when I caught his “guest” chasing one of my cats in the common area. You would think he would accept one of my offers of mitigation but he just wanted to be a jerk and complain to my other neighbor, I will call her Babe. Babe had played with my cats, visited in my home and seemed to like my cats. I should have known that she was going to be two faced and stab me in the back after she got into arguments with my ex. We had even had her over for dinner and chat at times. Yet, she sided with my next door neighbor, let’s call him Addhowl, and helped complain about my cats. She said my cats left their duties where she took her dog to walk in the common area and that it would make her dog sick. She acted like her vet told her this, but I know she is prone to fantasy. I have caught her so many times in bald faced lies. I am not trying to be nasty here, just relating what has happened and I also have what I need to back all this up. My cats have been well behaved, keeping to a specific area of the park. Yes, all cats find places to leave traces of their visit, and the long haired ones tend to leave a bit of hair. I can understand that people do not want this, but I have told them that I would clean up after them and help with anything I had to do to make them tolerable. They all know who owns the cats and how important they are to me. Look for blog entries with tags for Bird, Lulu, Yuki, Miggie, Ollie, Lily, and Sweat Pea. They get along and love going outside to explore and play. They are so happy here that they bring me presents, come home all the time in and out, and spend time close to me. They follow me around like a pied piper, and on walks. I had no idea trouble was coming. After what I was told were complaints by three neighbors, the managers came and had a talk with me. The managers came to me one afternoon to talk to me about my cats being outdoors. They told me they had three complaints. I figured I knew where two complaints came from. One was Addhowl and the other had to be the two-faced Babe who will float with the wind as long as she gets attention. I am sure she was trying to get along with the cat hater and joined him in the complaint. I agreed to keep them indoors for a few weeks as they asked me not to let them out any more because they claimed my cats were all over the park causing problems. They told me that there were threats against my cats and that they didn’t want to see anything happen to them. That really got me mad, but I kept my cool. I could have gone on about it being a crime to harm or poison an animal, but to know about a viable threat and not report it makes you complicit in the crime. Of course, if anything happens to any of my cats, I will pursue the issue. frequent the area. While many cats wander, mine don’t. They are very happy here in our area and they use it as their little yard. Yuki sometimes goes over the fence to an apartment complex to play wit a cat there, but that is it. While I insisted they were wrong about my cats, I still kept them inside. A little over a week later, the husband stopped me and told me I was right about my cats. I pointed out that there were other cats that must be to blame, and he told me they had no idea there were that many cats here. He told me that the cats only looked like mine and that mine were exonerated from most of the issues. He said I could let them out again, but I choose now to only let them out in small numbers, two to four at a time. I have left the door open a couple times for them all to go, but only on weekends. Other than that, things are going good with all the cats. There have been no further incidents. Oh, and I found out who the other person was that complained. Instead of Babe, there might have been a complaint by Lady Bluto (I still strongly suspect Babe), but the third one I know of is Miss Jersey that likes to be pushy. I tried being friends with her, but she can be difficult. She has a yapping dog I have been meaning to complain about because it is so shrill I can hear it over my TV and it startles my cats. She doesn’t care that it disturbs the neighbors even though she has been told before. After I let it be known that I had a problem with her dog, that is when I found out she was one of the three. Lady Bluto is another one that is wishy washy and two faced. It is sad that I am friends with her brother, but she supports Miss Jersey. I can call her Miss Jersey because I was born in New Jersey. I just don’t have the attitude and righteousness she does. These cats are my life. They love me and take care of me. They bring me presents and comfort me. They have unconditional love for me, even if I won’t let them out when they want to go (Lulu is meowing at me right now to go). That is why I will protect them and help them till we all pass, no matter who tries to stand in our way. I am not one to be vindictive. I just go about my business and do what I do. If they happen to get in the path, they are just dealt with on that level at that time. I don’t go for revenge. 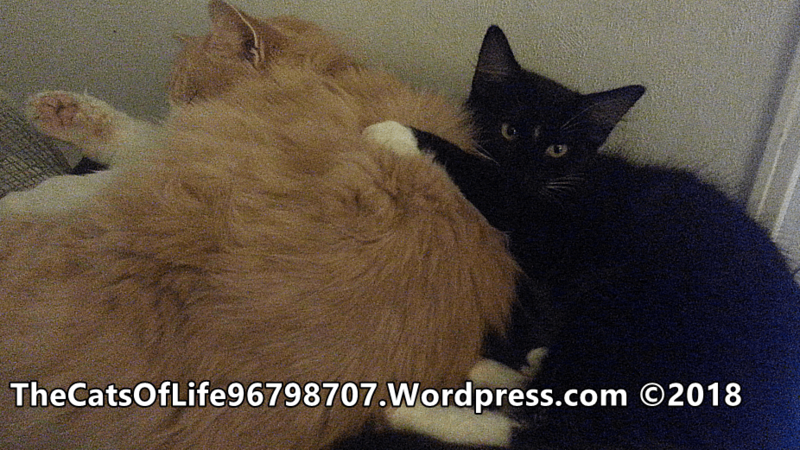 Life is too short, and I don’t think my cats would like it. I know my daughters wouldn’t. I love my cats, my cats love me, and we are all lucky to have each other. Look at this picture and tell me that isn’t worth fighting for. 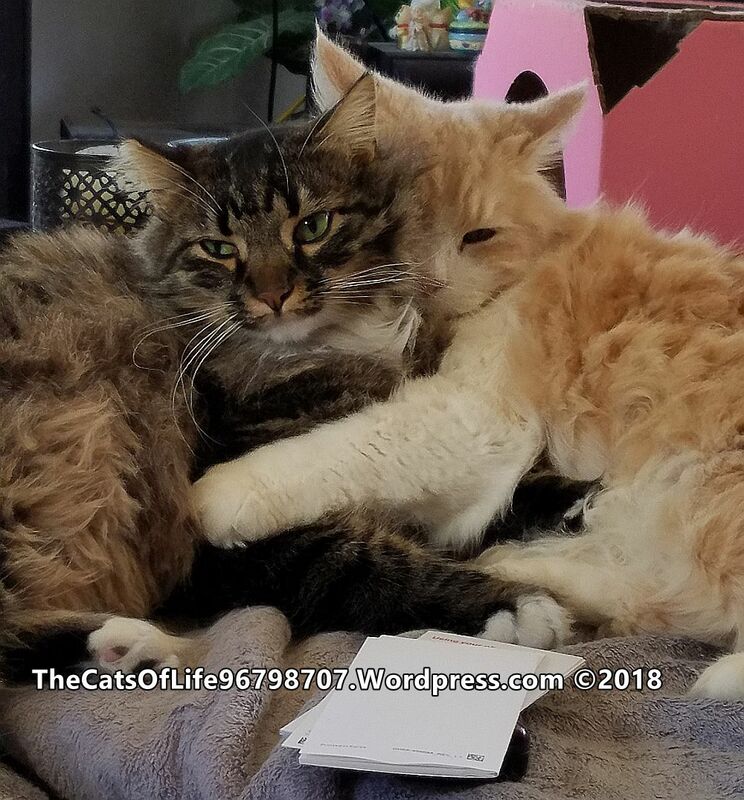 This entry was posted in Cat Behavior, Cat Community, My Cat, Responsible Ownership and tagged Behavior, Cat Haters, Cat Owner, Cat Safety, Catproofing, Love, Neighbors by thecatsoflifeslo. Bookmark the permalink.